At some point in your adult life, you have most likely looked into your magnifying mirror and, with horror, complained about the size of your pores. The good news is, you are not alone.In fact, skin practitioners as a whole say there has been an increase in the request: "Make my pores smaller.” The problem is, most patients are never completely satisfied because there just isn't a permanent solution. This new skin condition, "porexia," or the search for impossibly small pores, is the primary cause of the sometimes irrational impulse to have perfect skin. Oily skin tends to trap oils inside the pores, where it oxidizes and turns dark. And age factors into the equation because over time—especially if you've had a lot of sun exposure in the past—you start to lose the collagen and elastin that support the pores. This is what causes them to stretch and sag around the edges, which can make them look bigger. While we can't shrink our pores permanently, the right skin-care products and treatments can help keep the skin clear and tight, making pores less noticeable. Keep in mind that your pores are a vital part of the skin, and getting rid of them completely is impossible. 1. Look for cleansers or toners that contain a low concentration of salicylic acid or a mid-concentration of lactic acid both of which stimulate cellular turnover keeping pores free from debris. 2. Pore minimizing products will help clear pores making them appear smaller, but these are very temporary. 3. At-home masks work over the long term. You will probably notice immediate changes but consistent use will help with maintenance. 4. If your skin isn’t responding to at-home treatments a trip to the doctor may be necessary. A prescription for an exfoliating cream may be what you need. 5. Jessner peels contain salicylic acid and lactic acid to provide a deeper exfoliation with immediate results. 6. IPL and LED treatments will help you achieve smaller looking pores. These generally take around 8 treatments with yearly boosters for smooth, younger looking skin. 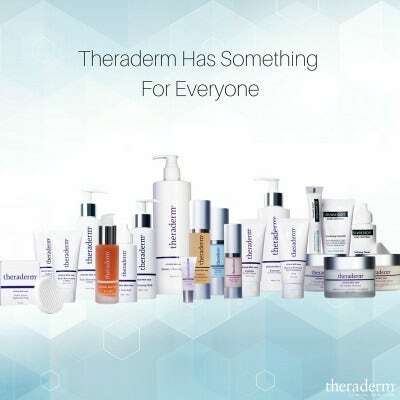 Check out Theraderm Clinical Skin Care for at-home products designed to help reduce the appearance of pores.